GHOSTS ON THE MOUNTAIN examines the isolated lifestyle of H2A guest workers in the American West. 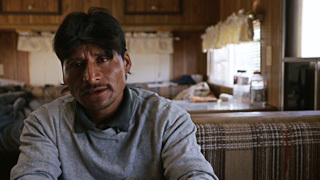 The film's subjects leave their families and native lands to work in the United States on H2A work visas, or no visas at all. Surrounded by breathtaking landscapes, these workers find themselves in solitude and loneliness. This isolation is heightened by language barriers and the remoteness of these sheep pasture lands.